Florida SBDC Network Headquarters (Pensacola, Fla.) – The Florida SBDC Network, the state’s principal provider of business assistance, is pleased to announce that its small business clients and nominees have won awards for their outstanding performance, advocacy, and economic contributions from the U.S. Small Business Administration (SBA) as part of National Small Business Week. National Small Business Week will be held April 29 – May 5, with national events planned in Washington, D.C.; Jacksonville, South Carolina, Georgia, and North Carolina. Every year since 1963, the President of the United States has issued a proclamation announcing National Small Business Week, which recognizes the critical contributions of the country’s entrepreneurs and small business owners. Zaffaroni, a client of the Florida SBDC at UNF, will join Small Business Person of the Year award winners from all 50 states, District of Columbia, and Puerto Rico for a special ceremony in D.C. April 29-30, where he will be honored individually and will be in the running for the 2018 National Small Business Person of the Year. Serenity and Jason Gardner, clients of the Florida SBDC at UCF, will also travel to D.C., where they will be honored as the National Exporter of the Year. 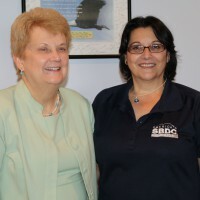 The Florida SBDC at Indian River State College will host its 5th Annual Small Business & Entrepreneurship Conference at the Kight Center for Emerging Technologies in Fort Pierce on May 1. The Florida SBDC at FGCU will host its 7th Annual Distinguished Entrepreneur of Southwest Florida Event at the Bonita Bay Club in Bonita Springs on May 3. The Florida SBDC at UNF will honor Jacksonville-area winners at its 26th Annual Small Business Week Event May 4 at the UNF Herbert University Center. The Florida SBDC at USF will honor Tampa-area winners at its 31st Annual Government Small Business Conference May 4 at the Holiday Inn Tampa Westshore. The Florida SBDC at Florida A&M University will host a series of events May 7-11, culminating with an awards luncheon on Friday. The Florida SBDC at UCF will honor Orlando-area winners at its 2018 Small Business Awards Luncheon and awards ceremony on May 15 at the Citrus Club in downtown Orlando. To learn more about National Small Business Week, please visit www.sba.gov/nsbw.